We don’t have to completely understand the purpose in each discipline to benefit from and commit to it. Consider Daniel in Karate Kid. He wanted to learn karate, and Mr. Muyagi committed to teaching him, but he starting with waxing cars, sanding floors, and painting fences. Daniel wondered when the actual training would start. He was confused and irritated, not understanding the important conditioning of his discipline. We sometimes read sections of the Bible while wondering why the details are even included. We pray without making a connection to any benefits or results. We serve on a ministry team to get involved and end up frustrated with the dynamics of the group. We give generously yet feel a strained need for provision and wonder where we went wrong. 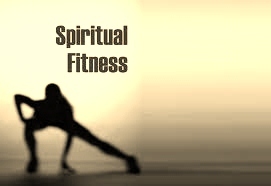 There’s not always a clear cut if/then causal relationship with spiritual disciplines. Results aren’t as important as the process. Yes, we need to keep the results in mind, but sometimes what we believe should be the result differs from what God says about the process. He wants us to rely on Him throughout the discipline, trusting Him even when we don’t completely understand. We could jump through discipline hoops and end up no closer to Him. We could choose legalism over relationship. Instead, God wants us to trust Him, take one step at a time, and rely on Him for the refining process. He will train us, but not always in the ways we expect. That’s okay, because He’s not taking us where we want to go but where He wants us to go. And that’s a better destination. Just about everyone in the small group or Sunday School class is capable of teaching, but no one will step into the rotation. Someone’s main responsibility is to contact three or four people on his serving team once a month—and you even remind him—but he regularly makes excuses of why he didn’t get the job done. The same person has been serving in the ministry for a decade and knows it more intimately than anyone else, but he won’t step up and take the lead. People who follow well can also excel at avoiding leadership. It’s a frustrating experience when you’re leading them. You see their potential. You know their strengths. You’ve coached them through the growth process. The time seems right—or past due—to develop stronger leadership muscles, yet you’re met with their reluctance to step into a leadership role. Why? Leading in someone’s footsteps can be intimidating. We often play the comparison game. When we’ve followed someone long enough to develop respect, we can’t imagine filling his shoes. To lead in the capacity of someone we admire is daunting. Instead of considering stepping into a role or responsibility, we feel as if we’re becoming the person in the role. Since we cannot actually become another person, we feel insufficient. Remedy: Acknowledge possible feelings of inadequacy. Just because you say someone doesn’t have to measure up to the previous leader’s reputation doesn’t mean he will believe you and respond in a new way. Invite the person to test the waters with a time of transition, including personal coaching. Invest in the person’s development with encouragement and constructive feedback. Remind him the preceding leader didn’t develop his abilities and style overnight. As God pours confidence into the person, he’ll be more likely to step out of his comfort zone and trust God will provide, even when provision—and leadership—looks different than it did for the preceding leader. Leadership development takes clear communication and consistent evaluation. Everyone you’re developing as a leader does not realize he’s in a leadership development plan. He’s simply serving, because someone asked him to serve, and he’s fulfilling his commitment. He might not realize how this commitment is preparing him for another commitment and another. One responsibility of a leader is to guide the growth process. While some people will intuitively take the lead, others will simply do what they’re told. They’re great followers, but they don’t instinctively look around and realize what needs to be done. It’s up to leaders in their lives to set examples of healthy leadership. Remedy: Roles and responsibilities need to be clearly communicated, so expectations are clear. Babysitting isn’t necessary—and can be detrimental—but consistent evaluation and constructive feedback is essential. Without it, people will not know how they’re doing and how they can grow. When someone is walking alongside them, they’re more likely to see future possibilities and replace apprehension with anticipation. Advancement isn’t always the best direction. Growth is. We don’t always need to move up in order to grow. We should never use an excuse of “I’m growing in depth” to avoid moving where God wants us to move, but let’s not assume a better title and more responsibility is always the best fit. If we’re stepping out of our areas of giftedness, we need to make certain where we’re going is better than staying where we are. Sometimes we need to step out of our comfort zones yet not necessarily up the rung of the proverbial ladder. We might simply need to transfer to a similar rung on a different ladder, where our gifts can be used and our comfort levels stretched. Just because a leadership position includes more recognition, responsibility, opportunities, and compensation doesn’t mean it’s the best choice. Remedy: Encourage each person to discover his or her gifts and watch closely for God’s leading into areas where strengths will be maximized. Avoid placing people in open positions for the sake of filling a space. Trust God’s timing and provision. Sometimes it’s better to have a gap than a mismatched person in a role. Trying to lead followers who are unwilling to lead can be frustrating, but leaders can work with them to take manageable steps through leadership development. Each and every one of us needs to consistently grow. Sadly, existing leaders can avoid growth, too, often by refusing to follow. Leaders who don’t follow well are detrimental to those who are following. Only by following well will leaders lead well. Consider how Jesus followed. His Father’s way took precedence over comfort or convenience. Consider how the apostles followed. When they did as Jesus taught them, their opportunities and impact on others were powerful and extensive. When we follow in obedient faith, we lead in faithful humility. When we follow well, those who follow us lead well. I was able to start running a little before the end of the season. The problem was I wasn’t going to be able to push my body enough to be competitive in the short sprints, which were my specialty. I didn’t have enough time to retrain my body to run much distance. Nor did I want to become a distance runner. At the time, it just seemed boring to me. The only option seemed to be the 400-meter dash. Of course, in junior high, I’m not sure “dash” is the correct word for it, but it was definitely as close to a full out sprint I was going to get without pushing my body beyond its limits. The problem was I didn’t know if I wanted to try, probably because I wasn’t sure I’d be able to do it. I wasn’t familiar with the strategy of the length of a race. I didn’t know if I had the endurance, especially since my training time was limited. I only had a couple weeks before Regionals, which would be my last chance to run that season. Our team didn’t have any strong 400-meter runners, so if I wanted to run it, I could. The coach was occupied with preparing all the stars for upcoming meets, so I didn’t have much opportunity to learn what to do. Mr. Brooks had driven the bus to most of our track meets. He’d seen me stand on the side of the track to cheer on others. He knew I was itching to run, and he asked me one day when I was planning to get on the track again. I explained my options, and he said without hesitation, “Well, of course you can run the 440!” He gave me a few tips and words of encouragement. When he looked me in the eye, I believed what he was saying. Perhaps it was possible. During every meet between then and Regionals, I didn’t stand beside the track cheering. Mr. Brooks had me training. He told me what to do on days between meets and even came to a couple after school practices to check in with me. I began to believe I could not only run the 440 but that I could run it well. I told my coach I’d run it. I was excited but nervous. I was fast before getting hurt. I was used to doing really well. I didn’t want to embarrass myself. It would have been easier to back out, but Mr. Brooks had poured too much time and confidence in me. Every time he looked into my eyes and spoke words of encouragement, I knew I would run that race. When we got to the regional meet, I remember him standing with me beside the track and pointing to the various points around the track where he wanted me to pay attention to certain things about my running and breathing. He reminded me how to hold my shoulders and what to expect from other runners. He told me to run my own race. He told me I could do it. He told me he believed I could do it. I remembered everything he told me while I was running. His voice rang through my head, and I could hear him yelling every step of the race. I pushed through the finish line, my first race since being hurt, and I won. I won my heat, and I qualified for Sectionals. I was ecstatic, but I think Mr. Brooks was even more thrilled. I don’t remember my track coach giving me any advice about the race. I don’t remember my track coach’s response. But I clearly remember Mr. Brooks and how critical he was to the process. Sometimes the most important coaches in life won’t be the people in actual coaching positions. Who has coached you to run the faith race well? Whose faith journey are you coaching? Be strategic. God believes in you and wants you to finish well.